This year the garden was lovely in my yard. And as the fall descended with the freezing temps and brown leaves came this one last surprise. On what seemed to be a dead vine one last flower of the season. 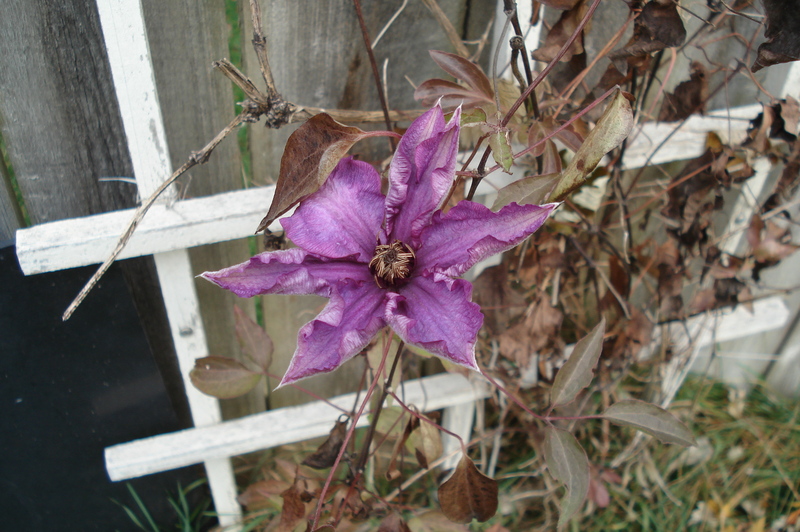 Funny thing is, this is a spring blooming clematis! This is definitely my little miracle for the fall this year! It was, Linda! I was in need of a lift that day, and it became the beginnings of a great day!